Vertical.3 - 1/2" Cast Iron sheave with the double SFR8Z Bearing. Heavy-duty zinc plated straps and bolts. 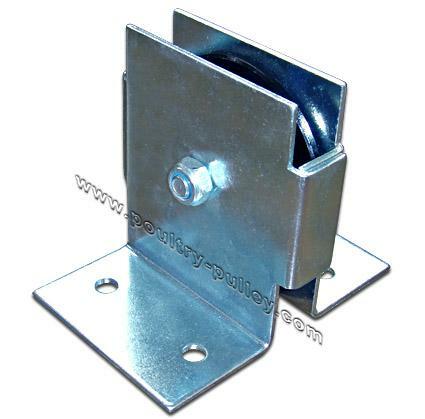 For through wall or end wall applications.